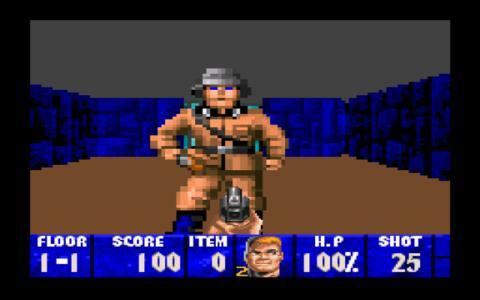 Wolfenstein 3D is one of the most famous action games of the nineties, and is one of the action triumvirate, along with Doom and Duke Nukem. 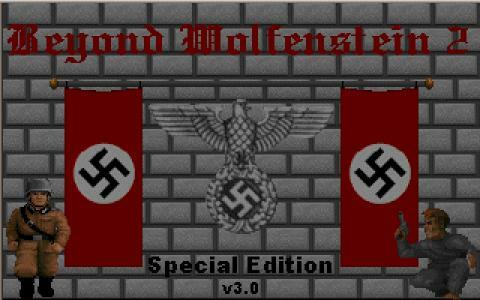 To those unfamiliar with the series, the game is revolved around Wolfenstein, who must travel through difficult mazes and kill Nazi soldiers that are all against him. Along the way you can collect various weapons, gold treasures and health medipacks. Beyond Wolfenstein 2 is a modification of the original game, with extra levels, weapons and a few other additional features, which is a treat for all Wolf fans. The game's graphics are crude and simple, and a lot grainy, making it hard for you see clearly who is who and what is what. The audio is as simple and crude as the graphics. Still, the game's great action packed gameplay with a lot of blood and violence will make every action game fan fall in love with this game within minutes. Truly a timeless classic even now, 20 years later.